Bacterial infection involving conjunctiva or cornea and otitis externa. Eye : 2 drops every 1-4 hours depending upon the severity. Ear : 2-3 drops every 3-4 hours. 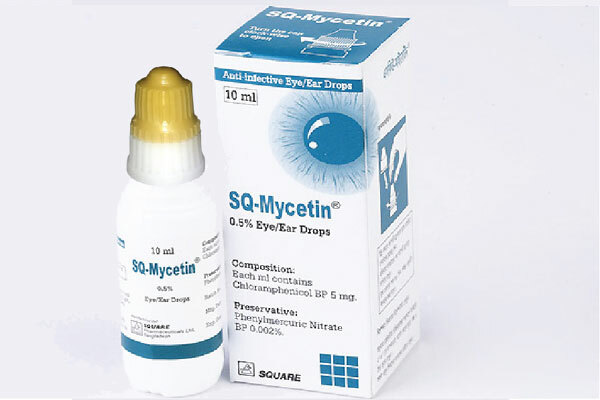 SQ-Mycetin® Eye/Ear Drops : 10 ml in plastic dropper bottle.